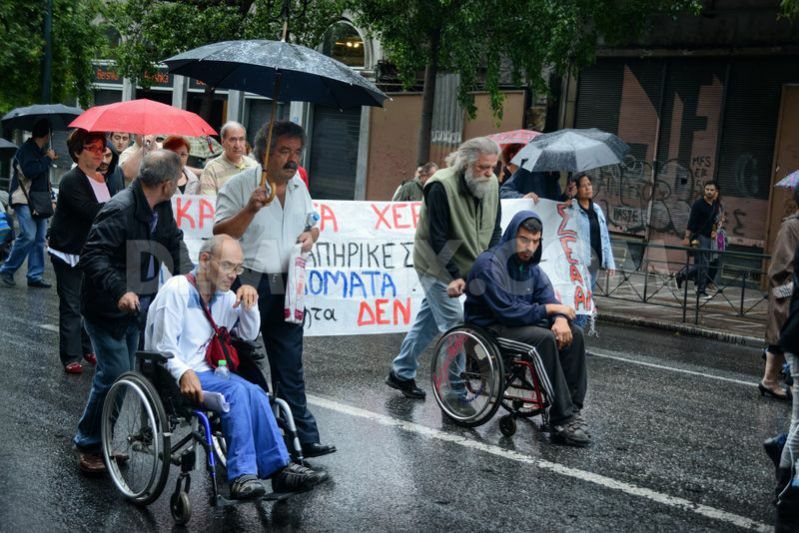 Despite the rain, tens of disabled people demonstrated in Athens to protest the discontinuation of their disability pensions and allowances, until the details of current beneficiaries have been re-examined as part of a broader austerity drive. 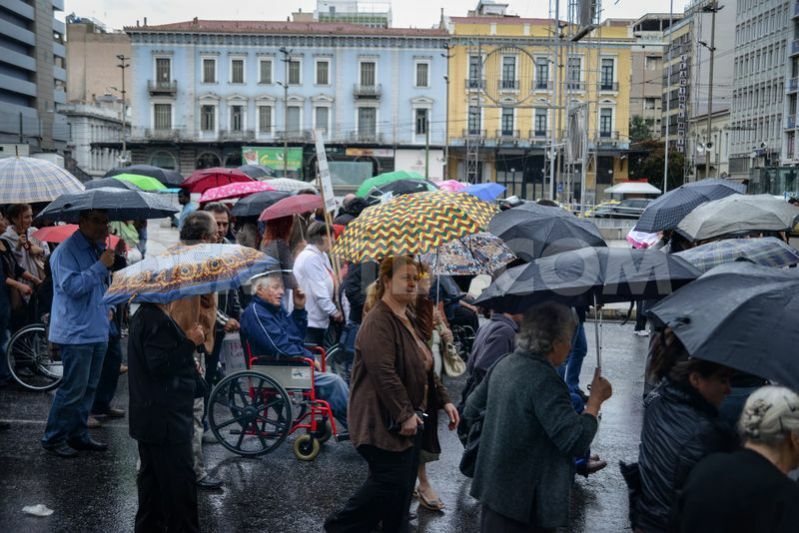 Disabled people protest near Omonoia square in the rain. Disabled with their supporters protest in Omonoia square in the rain. Disabled with their supporters protest in Omonoia square. 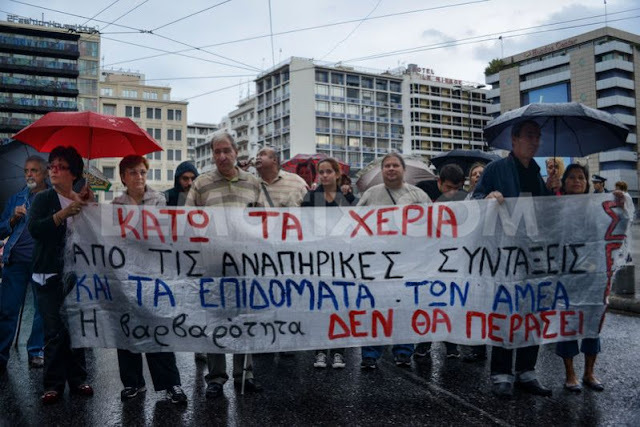 Main banner reads: "No to the social euthanasia of people with disabilities". 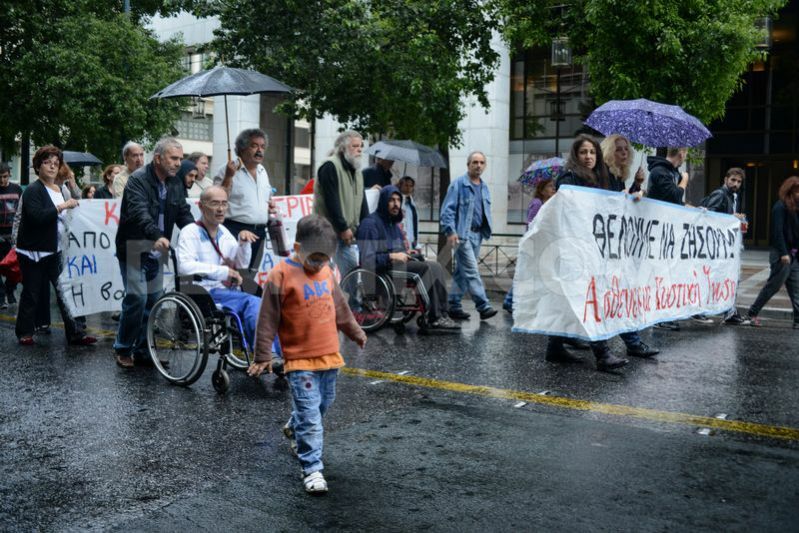 Disabled people with their supporters protest near Omonoia square. 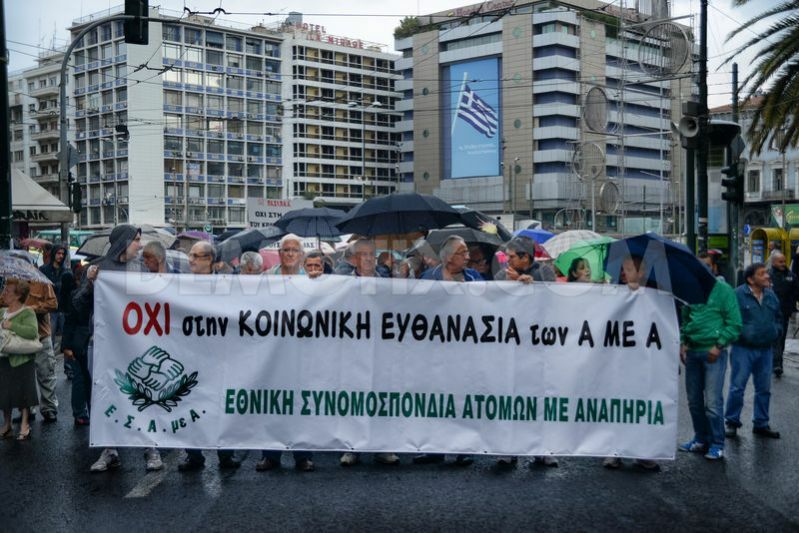 Main banner reads: "No to the social euthanasia of people with disabilities". Disabled people with supporters protest in Stadiou street in the rain. 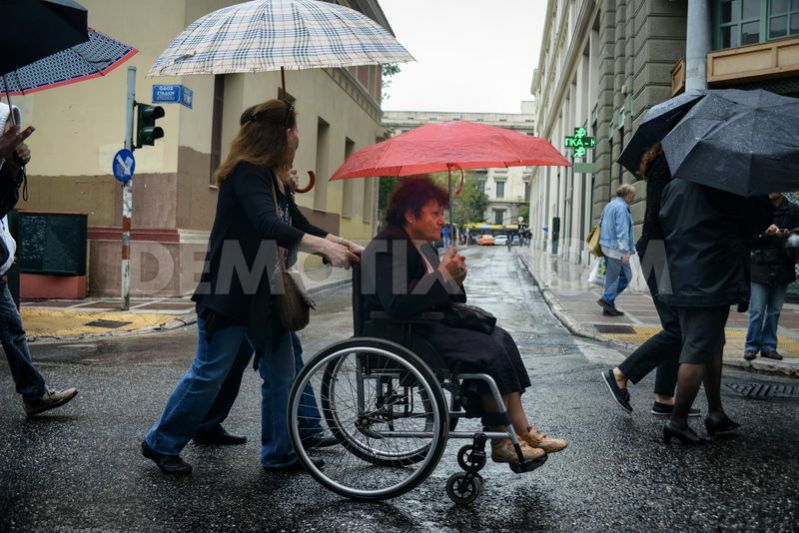 Disabled woman with supporter protests in the rain in Stadiou street. Disabled with their supporters protest in Stadiou street. 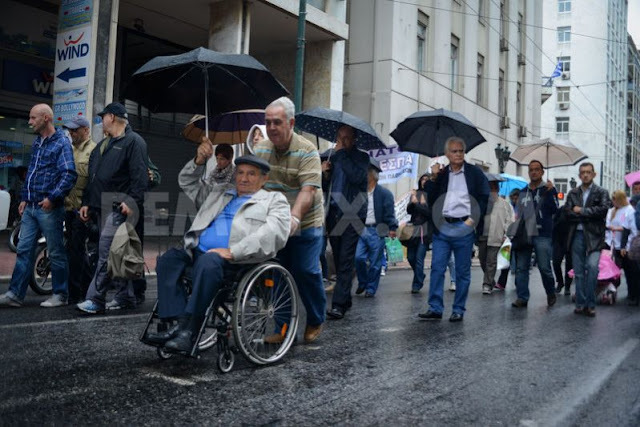 Despite the rain, tens of disabled people demonstrated in Athens to protest the discontinuation of their disability pensions and disability living allowance, until the details of current beneficiaries have been re-examined as part of a broader austerity drive. Disabled citizens gathered outside the offices of the Social Security Foundation (IKA) and staged a protest march to the Ministry of Labor and Social Insurance where they delivered a petition with their demands. 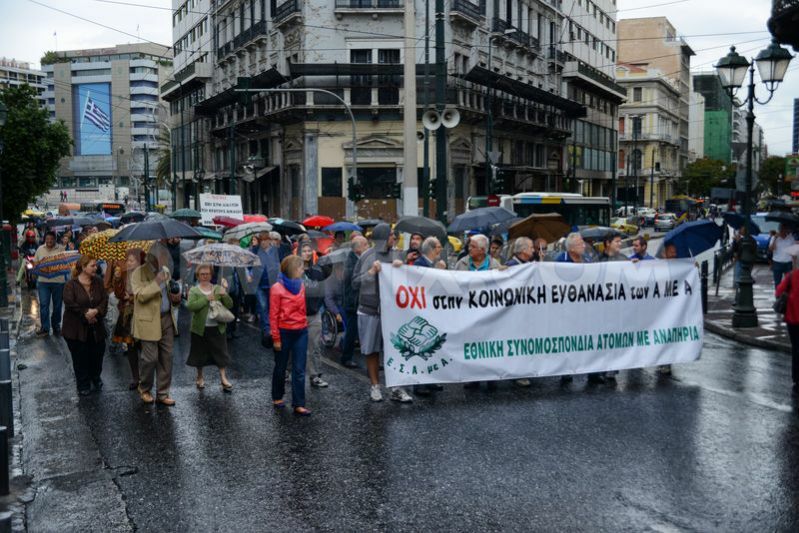 Meanwhile similar demonstrations were held in another 36 cities in Greece.